This is where you will find all the theme prewriting practice printables. This will have several different printables added over time. 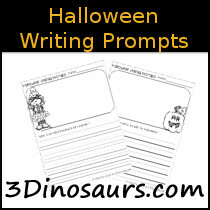 Scroll down to find all the Seasonal Writing Prompts Printables printables. Click here to see all the Thanksgiving themed post and printables. Click here to see all the Halloween themed post and printables.